Greetings from the Outremer. Sorry I don't get here much, but MWR computers lack good band width. I've posted some phoos of my travels on MYSPACE for those who know me. Frere William, has come on strong in this thread, reestablishing the base line for what I had intended it to be. 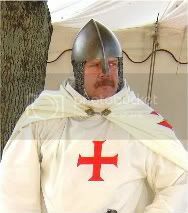 "Serving God with a Sword" does a good quick over view of the Templars. Keep up the great work Frere William. Thanks for your kind words Frere Mikael. As for the Lady de Pond, well....we'll keep the home fires burning for ya! I look forward to getting back over to Kuwait where I'll be able to post more photos. Frere William, your plate is a hit!! you may be keeping them burning for a while i think I'm running to my sandbox soon. Pretty darn serious look there, DB!! A splendid shot of one of Jerusalem's stalwart defenders. May we hope that we see you around the faires in this attire DB? We do have a gathering planned for the TX event this year. 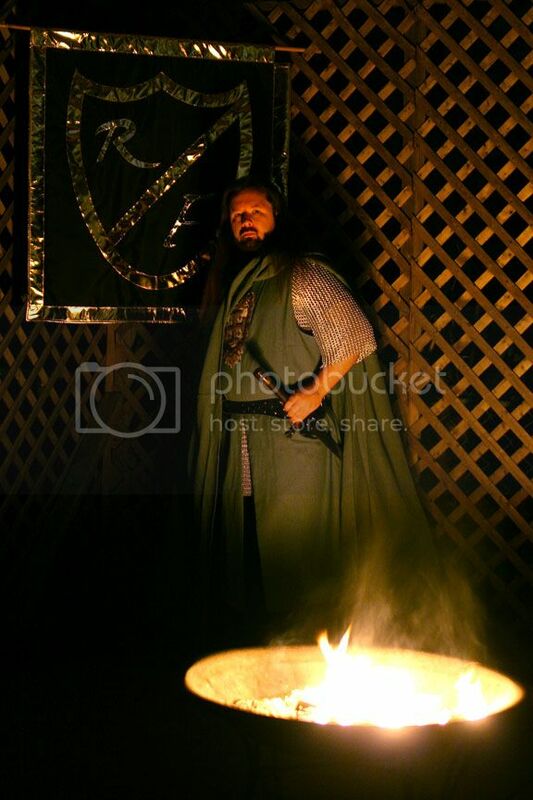 Welcome Sir Moostifer, although it appears you hail from a region of Camelot and not of the Outremer. Good show none the less. sicillvmmllitvmxpisti: what does it mean? ? I'm back! Well, for the time being. My computer at home went KABLOOEY!, so I'm limited what online time I can scrabble together at work, which isn't much since we're now working on holiday retail ads. I'm going to be getting a new computer in the next couple of months, but in the meantime, I'll just have to jump in when I can. 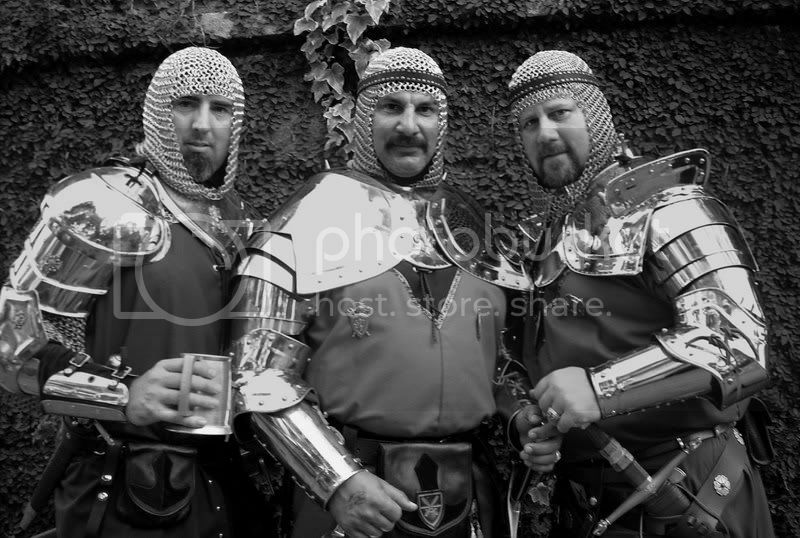 BTW, for those who I invited to the MySpace group to organize our Texas Crusade...well, I can't access MySpace at work (Hospitaller, I hadn't sent you the invite yet). Really, we just need to nail down a weekend. I'm good for any weekend, and I think the Halloween weekend is the busiest, though our daughters may like the faery weekend. Hope everyone's doing well, and ENJOY!!! 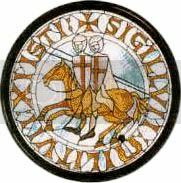 "Seal of the Army of Christ" or "Knights of the order of Christ" if your referring to "sigillum militum xpisti"
It is a latin roman Greek mix up from the days when all were used. Most of it has been lost in translation because it is such a rare mish-mash of the language. Looks like a fun weekend my brother. Although, I must confess, If the king of Scarborough would to get that oversized codpiece so much as a foot from me its getting chopped off and killed.